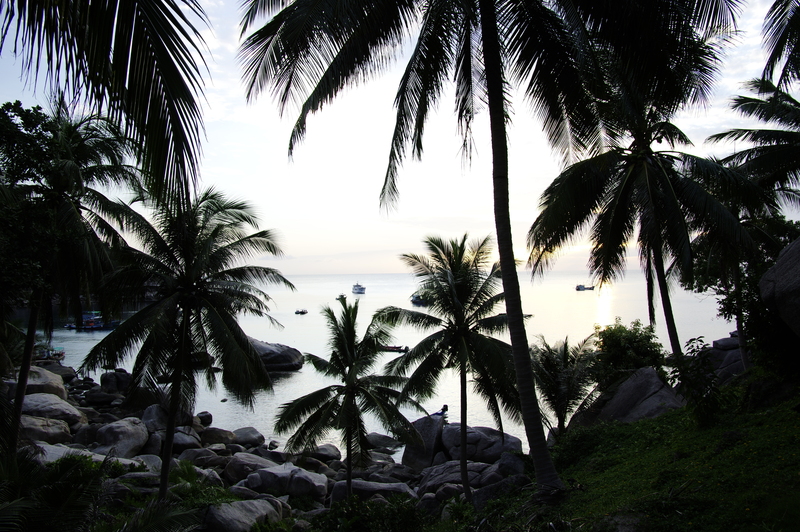 We spent three relaxing days on the Ko Tao, an island on the east coast, in the gulf of Thailand. Up until this point on our trip, we have felt like we have been the only tourists in Thailand. 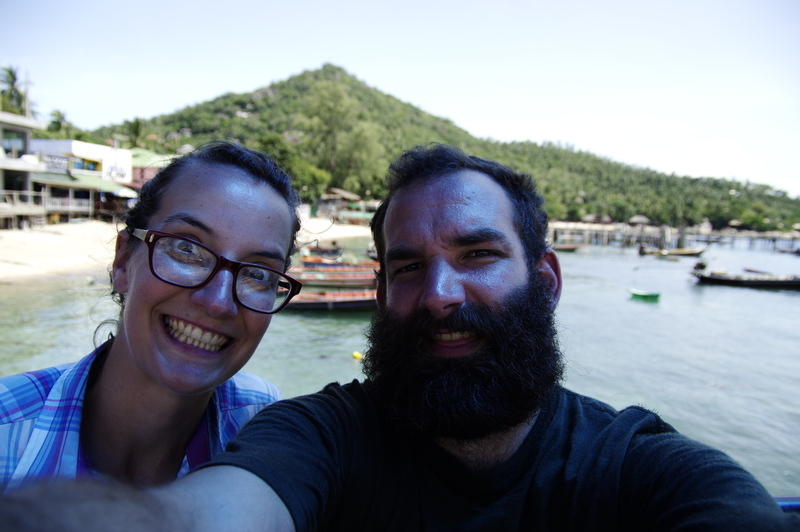 Ko Tao is a touristy destination, and we were a little shell-shocked (pun intended?) to suddenly be somewhere that had more tourists than Thai people. We managed to find a quiet and secluded bungalow on the opposite side of the island (and over a steep hill). 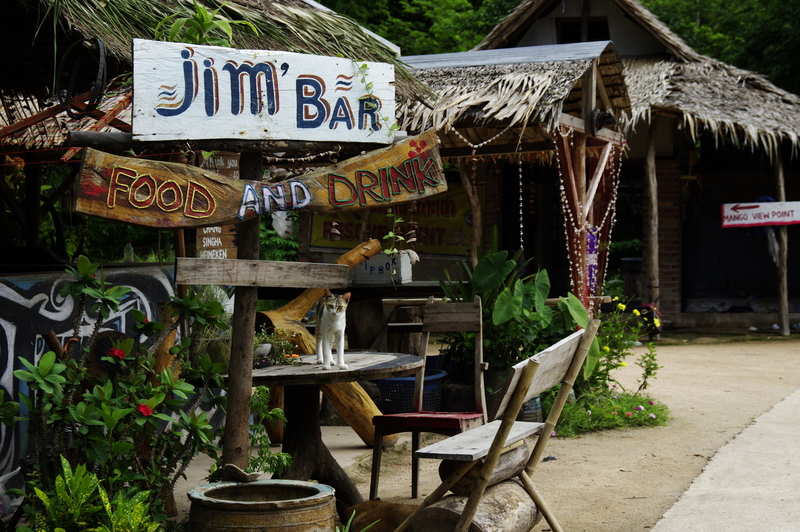 Our bungalow was sitting among coconut trees and the giant rocks in Hin Wong Bay. We had a little porch with a hammock and had a great view of the sunrise over the sea. There was only electricity on from sunset to sunrise. They had a little restaurant for the guests, and every time anyone ordered a shake they had to turn on a loud gas powered generator to get the blender going. 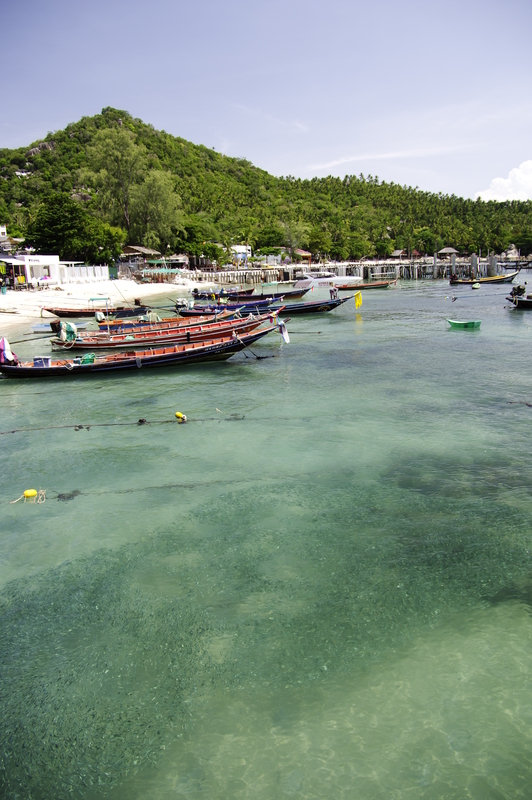 Ko Tao is quite a hotspot for scuba diving, and we went there to do some snorkeling. The snorkeling was incredible. The waters there are filled with coral reefs. It was like being in an aquarium. There were huge numbers of neon tropical fish surrounding us! 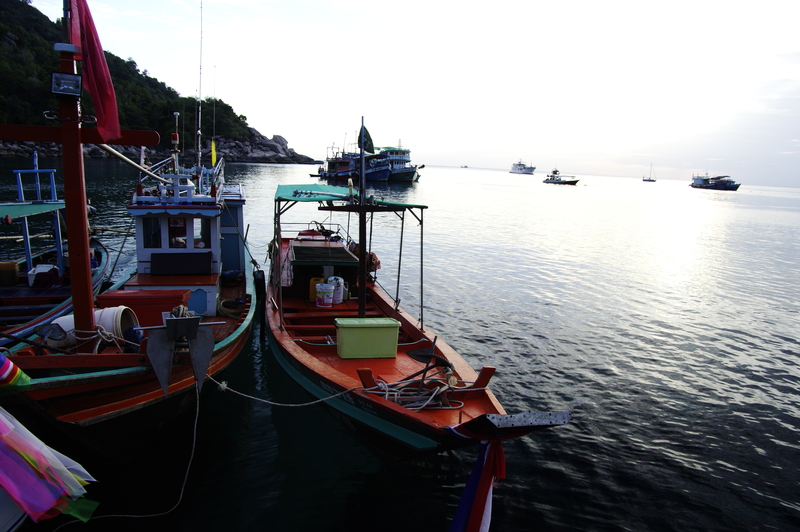 The fishing and scuba boats in Hin Wong Bay. 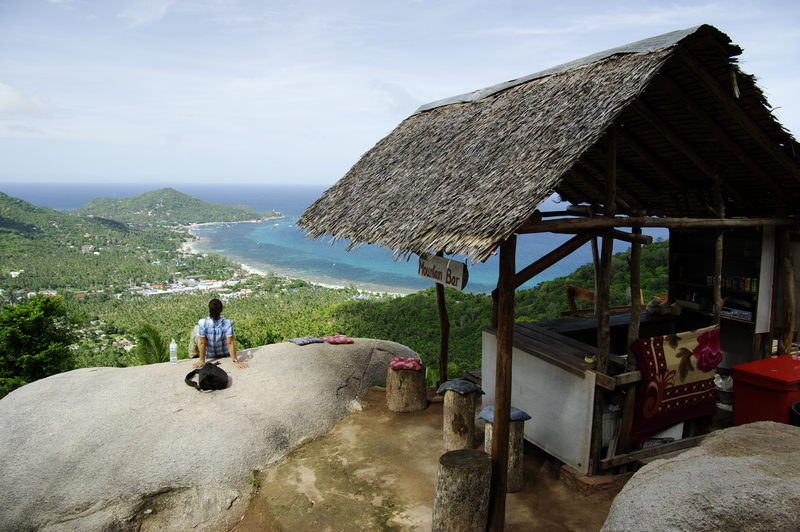 We took a hike and ended up at the mountain bar, a great view point! 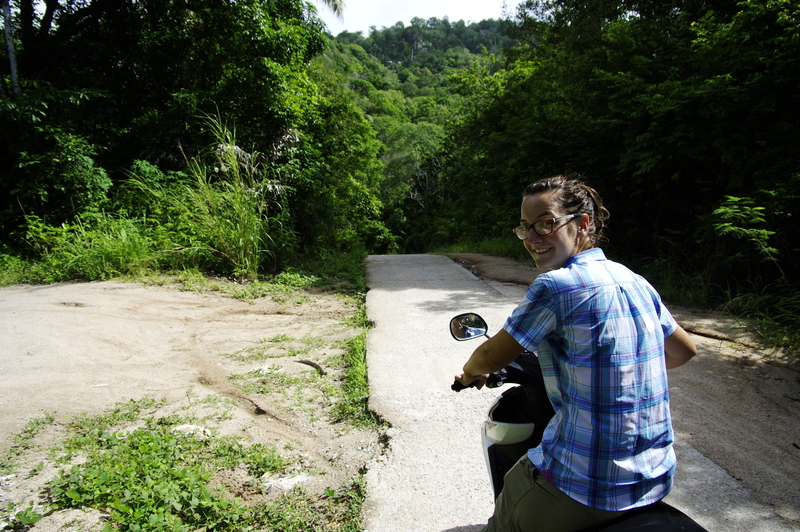 We rented a motorbike to get around, since our bungalow was a long and steep walk to town. meow meow! 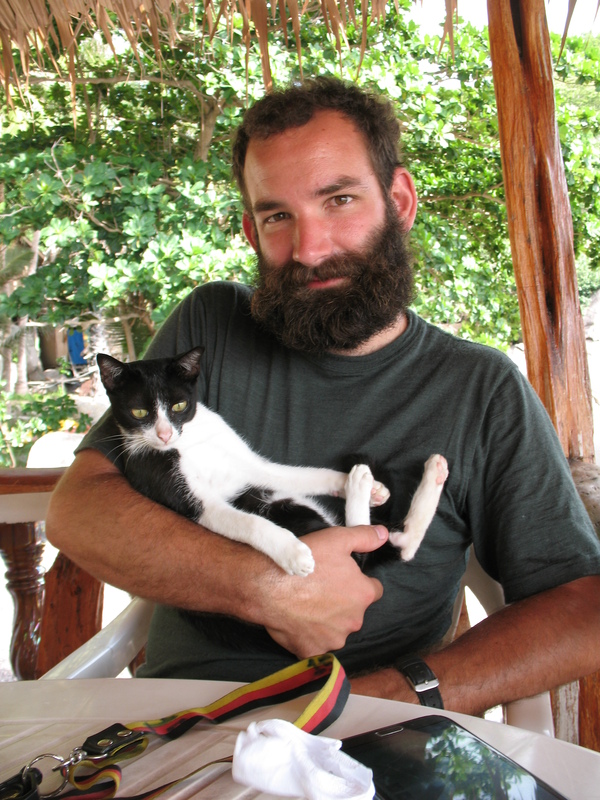 Our friend the beach cat. He loved cuddling with Chris.